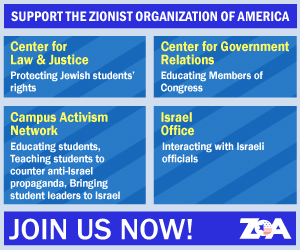 Zionist Organization of America (ZOA) President Morton A. Klein and ZOA Director of Special Projects Elizabeth Berney, Esq., released the following statement. The Zionist Organization of America wishes to extend our congratulations to Judge Brett Kavanaugh on his nomination to serve as an Associate Justice on the U.S. Supreme Court. ZOA questioned friends and members who practice law in the District of Columbia Circuit. They spoke very highly of Judge Kavanaugh’s independence, fairness, intellect, excellence as a jurist, and sterling qualifications (clerk for U.S. Supreme Court Justice Anthony Kennedy, teaching at Harvard Law School, and twelve years’ service as a judge on the D.C. Circuit Court of Appeals). ZOA found nothing in Judge Kavanaugh’s record that would be harmful to the pro-Israel and Jewish community. ZOA is thus deeply disappointed that the Anti-Defamation League (ADL) and the ADL’s CEO Jonathan Greenblatt attacked Judge Kavanaugh’s nomination and ability to serve on the Supreme Court. Distinguished commentators recently wrote that ADL’s and Jonathan Greenblatt’s attack on Judge Kavanaugh was completely unrelated to combatting antisemitism, and instead was inappropriate “partisan warfare.” See “Whatever Happened to the ADL? 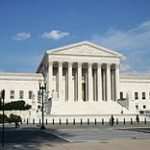 : The attack on Kavanaugh’s nomination to the Supreme Court is the latest instance of how Jonathan Greenblatt has turned the venerable anti-Semitism watchdog into a partisan outfit,” by Jonathan S. Tobin, JNS, July 13, 2018; and “Is Brett Kavanaugh Bad for the Jews? : The Anti-Defamation League loses sight of its mission and turns toward Democratic partisanship,” by Liel Leibovitz, The Wall Street Journal, July 23, 2018. 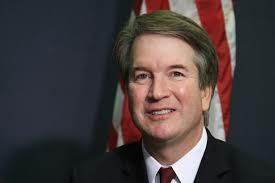 ZOA wishes Judge Kavanaugh many decades of continued outstanding public service.